Located in Johnson City, Texas, the Sam Houston Johnson House is the perfect destination for anyone wishing to experience the Texas Hill Country. 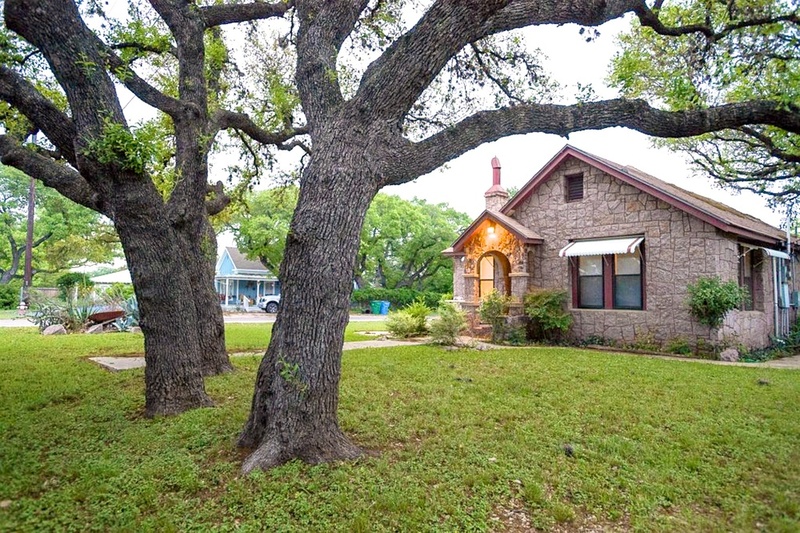 This historic cottage was once home to Sam Houston Johnson, brother of Lynden Baines Johnson, 36th President of the United States. The House is constructed of pink granite quarried from Marble Falls, the same stone used to build the State Capital in Austin. 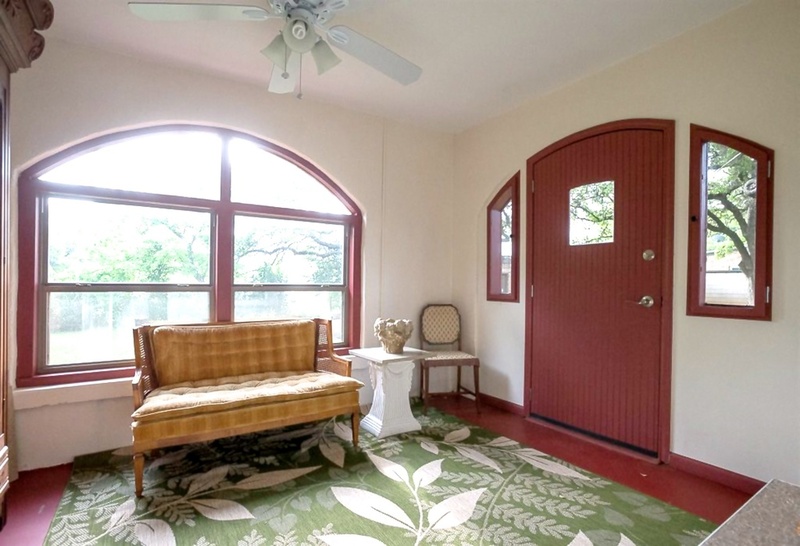 This cozy and charming country home will delight you with its quiet and comforting atmosphere. It's appointed with beautiful country-chic furnishings and surrounded by majestic oak trees. The House features a luxurious king size bed in the master bedroom and a full size bed in the second bedroom. 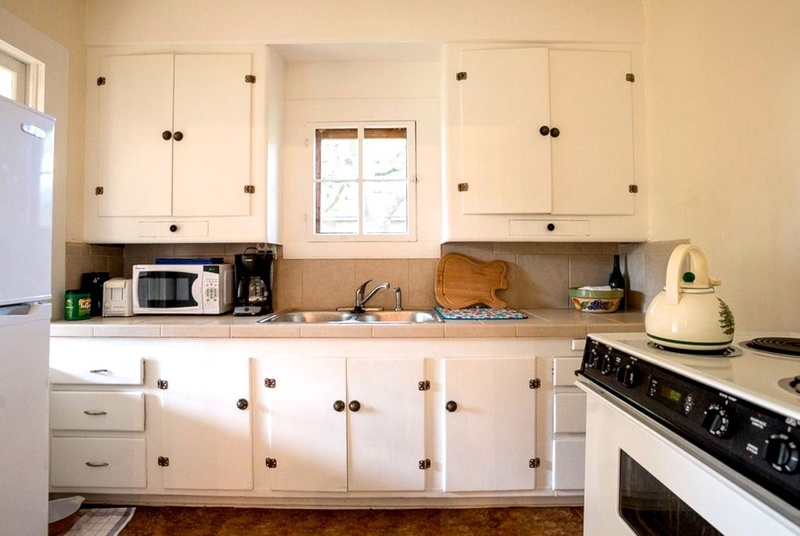 The kitchen is fully stocked with everything you will need, including a coffee maker and microwave. 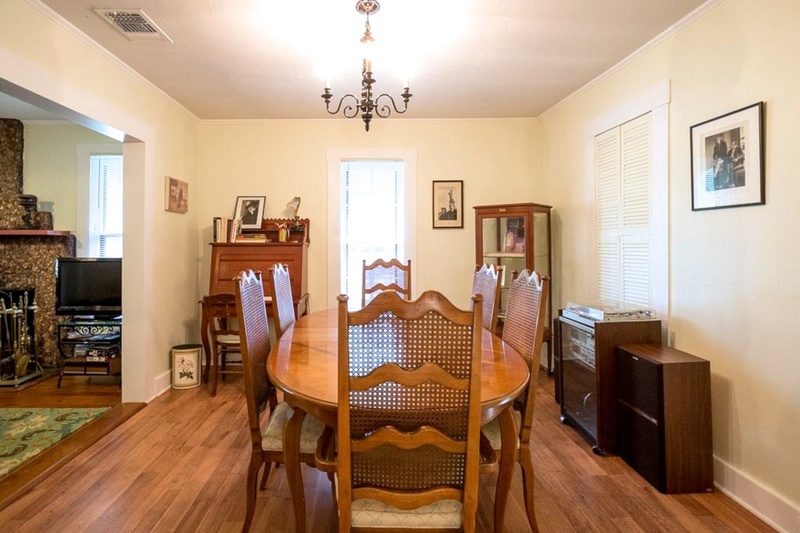 The dining room displays LBJ memorabilia and has a large dining table with seating for up to 6 people. The living room has a stone stacked, wood burning fireplace and TV, as well as an amazingly comfortable sofa. Guests have access to the entire house and yard. Centrally located in the Texas hill country, Johnson City is just a 30-minute drive to Fredericksburg, Marble Falls, Pedernales State Park, and many Texan wineries. The House is just a short walk to galleries, restaurants and a fantastic hiking trail. Tours of the LBJ ranch and boyhood home are offered daily and are both just a short drive from The House. Sam Houston Johnson, the younger brother of President Lyndon B. Johnson, was an aide and advisor to his brother. He lived in the White House prior to living in Johnson City. He wrote the book "My Brother Lyndon" in 1970. You will find a copy of this book at The House.